The sale of a business demands higher offers when it is under management and of a larger size. The average multiple for such beasts is 3.61. 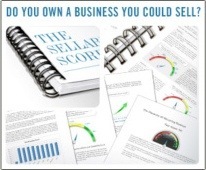 In the time we at Hurst Partners having been running the Sellability Score questionnaire, we are yet to see a score of 80 or above… seems like there’s a lot of work to be done to use your business as a saleable asset.